If you’ve been injured as the result of a slip and fall accident in Fort Collins, it’s important that you contact an experienced attorney as soon as possible. It’s possible that the person who is in possession of the property where you were injured is liable for injuries you sustained due to their neglect of the premises. Under Colorado law, the injured party has only two years to file a claim against the people/persons responsible for their injuries. However, if the property involved is owned by the government, there may be different rules. Under Colorado’s governmental laws, injured parties must provide a formal, written notice of the claim to the specified entity within 180 days of the incident. Failure to do so will barr you from seeking compensation. This means that you must be diligent in finding a quality, knowledgeable Fort Collins slip and fall attorney as quickly as you can. Slip and falls typically occur when something has been spilled on the floor at a business, an area was recently mopped and not properly dried or signed, ice and snow has not been properly cleaned up, wires or cables are exposed, there are holes or uneven surfaces on the floor or a rug is not secured to the floor. Any of these scenarios can easily cause a person to fall, stumble, trip or slip and cause injury. Common locations of slip and fall cases include businesses, an acquaintance’s home, stores, malls, shopping centers and sidewalks outside of businesses. 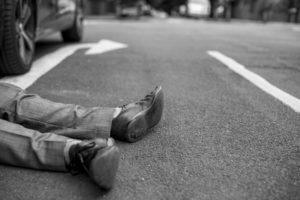 If you’ve found yourself injured in a slip and fall in Colorado, it will be covered by premise liability laws. Because of this, you must prove a few things in order to win your lawsuit. You must prove that something existed on the premises that posed abnormal risk, that the person in possession would have been aware that a harmful condition existed and posed harm, the person in possession was negligent in correcting the risk, and that you were injured. Having a top Fort Collins slip and fall attorney on your side will help ensure that you can successfully fight for the settlement you deserve. If you’ve been seriously injured in a Fort Collins slip and fall or another act of negligence, trust Ring & Associates, P.C. to fight for your rights. We accept injury cases on a contingency fee basis, so you pay no upfront legal fees. To learn how we can be of service, call 970-632-2687 or contact our Fort Collins office online to schedule a free consultation.